I finally got round to trying Terroirs when I met a friend who was staying in a hotel between the Strand and the river and we needed somewhere local to eat and catch up. This was the opportunity to enjoy more, natural wines and, after all, I had enjoyed Brawn over on Columbia Road. 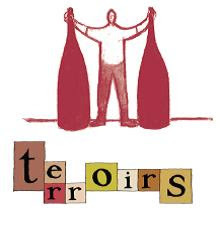 Terroirs was buzzing and the crowd had spilled out onto the pavement in one of the most unlikely streets around Trafalgar Square for a good wine bar. After stepping down into the basement room I was struck immediately by the weight of the leather clad wine list handed across the bar. As I struggled to select a suitable red, a friendly voice from the other side of the bar invited me to try an unusual blush white which they had decanted and which reminded me of the cidery “nose” often found on natural whites at Gergovie Wines. With advice and a tasting to confirm, I selected an Italian red (Trinchero) from Piedmont and we were set for a good evening. The food menu was short but interesting with small and larger plates. As I had heard, the charcuterie was good. The freshest sardines were served whole with a salsa to cut the oiliness of the fish. Fegato Veneziana came with a side dish of soft polenta. One gripe I had was that bread and butter (and not the greatest bread), a staple accompaniment to charcuterie, was extra, and a request for more incurred a further charge. Note to restauranteurs: parsimony is not an attractive trait. All in all it was an enjoyable experience, too noisy for a quiet chat, but another triumph for natural wines and the culture of enthusiasm and knowledge they seem to engender. Of the 200 wines on offer, there was little under £20 a bottle. The bill for two - four dishes, wine and service (and not forgetting the bread and butter) - came in at £90 including service. Well, it is the west end so you can expect west end prices. Making the inevitable comparison with Gergovie Wines, I will be back at my seat at the bar at 40 Maltby Street in Bermondsey, next opportunity.